108 years ago on Feb 13, a young 13-year old boy was initiated to sanyasa. From that day onwards, He lived the life of a true sanyasi. Never did He sway away from sanyasa dharma! It is said “Ramah vigrahavaan dharmah” — If one wants to define what is “Dharma, it may be very difficult. But, just knowing about the life of Sri Rama would completely define dharma, as Rama personified dharma. Similarly, if anyone wants to know how a sanyasi should conduct himself, Sri Mahaperiyava’s life is a shining example! Once, a young lady who had a very difficult problem in her life had come to see Mahaperiyava to seek his blessings and a solution to her problem. Anybody going to Mahaperiyava does not return without a solution to his/her problems. She did not want to tell about her problem in front of many other devotees. So she pleaded one of the attendants if she can talk to Mahaperiyava in person. The attendant allowed her to go inside the room when He was alone. In a few minutes, Mahaperiyava stormed out of the room and shouted at the attendant! “Why did you send her inside alone?” He asked. 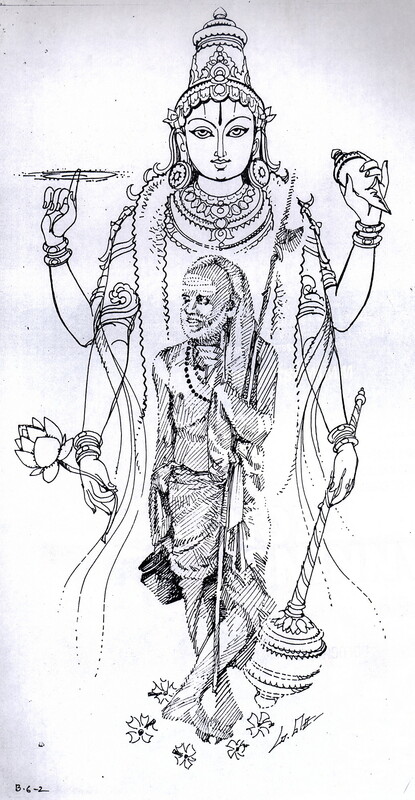 The attendant humbly said, “She had requested that she tell her problem when no one is around Periyava”. 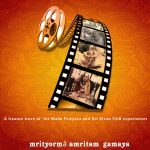 Periyava then told the attendant, “As a sanyasi, I am not supposed to meet any lady alone in a closed room. If in future such a situation arises, send her along with a deaf person. That way, her desire will also be satisfied, and I can also help her out with her problem.” What a compassion — He did not say He will not help the lady, but never did He move away from His Dharma! Oh Arjuna! The senses are so powerful that even for the most alert seeker (who clearly sees right vs wrong), the turbulent senses can forcefully carry the mind away. If this is the case for an alert seeker, what to talk of ordinary people like me! Let us remember this Great Mahan on this day, and pray to Him to give us the strength to have the sense control, so that our minds can rest in Him alone! Thanks for sharing .I have heard so much from my mother about the compassion and Grace of Maha Periyava .Am truly blessed . KANCH8 MAHA PERIVA followed in practice what he preached.What he advised others he followed it scrupulously.His life is an example to follow.. Thank you so much for all the messages and stories from each one of the mahapreyava org. I have not so far seen kanchikamakshi devi . I have prayed mahaperiyava to help me see kamakshi mata along with my family.